To Palin, or Not to Palin? Oprah Winfrey is losing a few fans, probably for the first time in her career. She who is famous for bonding with her decidedly female-centric audience and calling every female guest “girlfriend” has discovered at least one lady she does not want to bond with; Sarah Palin, the nominated Republican candidate for Vice President. 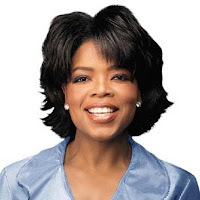 Could it possibly be that Oprah knows who she wants to be president? Could it be that she also knows—all of those far too friendly “girlfriend” comments aside—that somehow having the opportunity for an exclusive interview with a successful, popular, stand-on-her-own-two-feet, truly strong, and independent woman who has a fair chance of becoming the first female Vice President of the United States without the need of riding on a man’s coat-tails—thus fulfilling the aspirations of over one hundred years of feminist promise since the days of suffrage—might just not be in the best interests of “her” candidate? One can argue politics. One can argue freedom. I would not rise to criticize if Oprah said, “Hell no, it’s my show!” and got about filling her popular TV time-slot with segments on how to use common house-hold items in the creation of “Obama for President” posters for your kid’s kindergarten classroom. But to spend over a year campaigning for one side and then to obliquely dismiss a truly historic interview opportunity with some feigned notion of electoral objectivity is, at this point in the game, just silly, stupid, and “O” so hypocritical. Perhaps some of her ardent fans are seeing these more unseemly traits for the very first time.